Grab a good stereo headphone and use a seperate mic. Gaming virtual surround sound is marketing gimmick and gaming headset mic will Always be chui. This. Quite comfy. But I prefer my G933 cuz of the larger ear cup and its wireless. that is quite a common statement but there are certain gaming headsets that have decent sound and mic. Try then you will know. Just hearing from audiophiles saying that is always easy hehe. HyperX is one of them. And most of the time, people dont use gaming virtual surround. Those simulated surround remove certain details of the sound, example, CS Go or overwatch where footsteps is important. Virtual surround will screw up the directional positioning audio. Having an additional microphone to plug to an audiophile headphone is also a hassle, with 2 wires dangling etc. Best of 2 worlds? Get a decent gaming headset for games and if you love music, get a decent audiophile grade headphone for music. My go-to recommendation is still a Philips SHP9500 and a V-Moda boom mic. Sound is okay for gaming but mic chui. Your budget $100 and don't want detachable mic best choice is the hyper x cloud gaming headset already. Its the one of the rare gaming headset that is good because its a rebranded takstar pro 80 audiophile headphone modified with a mic by kingston and sell it as hyperx brand. And can be bought at around $100+-. 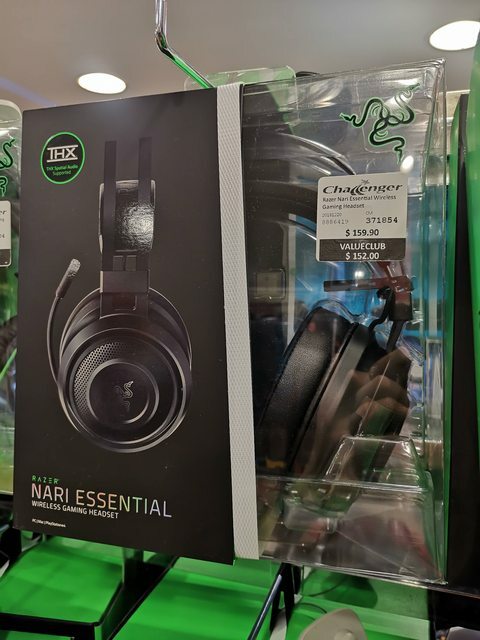 If budget can go up to $200-$300 can look at some of sennheissers gaming headsets those are also audiophile headphones modified with a microphone good for gaming and music listening. If you are ok with detachable mic just get any good audiophile headphones and buy those detachable modmic and use with it. Or buy those cheap china $5-$10 microphone also can use. Then use a proper audiophile headphones like ath-m50x, ad700x, sennheisser hd598se, hd600, hd650 to name a few. Don't be fool by those fancy gaming headset with fancy packaging like ahem some of razers headset stay away from those for gods sake. Overprice pricetag with awful sound that does not even justified by their price tag. Last edited by Nelia8686; 21-02-2019 at 08:27 PM.. I would add a bit more and go for the Hyper X Cloud Alpha. Its currently $SGD130 at Prime Now. For 'new customers' get $SGD20 off and it will only be $SGD110. Sound quality is much better than the Hyper X Cloud 2. The mids and highs are not muddied and you get a better sound stage. Why can't I log in to my old account?? Last edited by MagixuserII; 22-02-2019 at 06:02 PM.. Some old school CRT, And its flat screen "Woohoo"
Is that the DVD-drive thingy? Old ATX, I think its called a Chieftec Dragon? I plug it in to Singapore Power, does that count? ok leh i use the mic. my friends all said clear. just get HyperX cloud with your budget since you want gaming headphones. if you want any better then you need to spend more liao. I dislike hyper cloud. I was using one but afterawhile, the sides will get sticky due to rubber degradation which is damn disgusting. Now using ath-m40x + creative e1. Costs about 150 but you can bring your whole setup out to use if u wish. Would also recommend a good headphone + separate mic. Last edited by -Synchronicity-; 23-02-2019 at 09:53 AM..